When it comes to custom decks, “if you can dream it,” Outdoor Woodworks of Nashville can build it. Bring us your deck plans and ideas, or let us offer our deck design services. Outdoor Woodworks, LLC offers the finest custom pressure treated pine wood, cedar, and low maintenance composite decks. We are a family owned Tennessee based deck builder, committed to incorporating exceptional quality into each deck we build, at an affordable price. Whether you choose to build a basic or custom deck, we can help develop the deck design that will complement your home and the existing features of your Tennessee property. 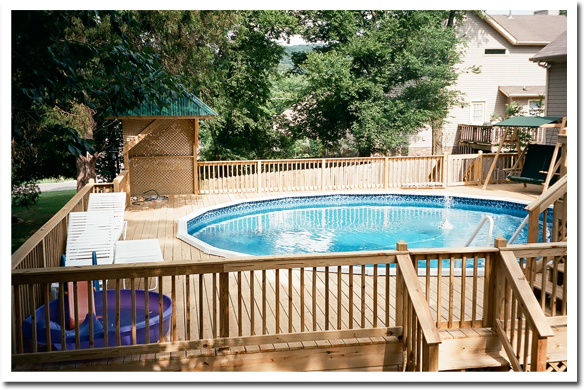 Outdoor Woodworks, LLC is a Tennessee licensed and insured deck builder who you can trust to get the job done right. Call us today for a free consultation and estimate at (615) 865-6900.